Sapporo has a lot to offer. It’s the Prefectural Capital of Hokkaido and Japan’s fifth largest city. Thanks to Hokkaido’s reputation as a skiing and snowboarding paradise, most people visit Sapporo just for the winter sports. This is a shame! Even during Hokkaido’s harsh winter, it’s worth spending some time exploring Sapporo. You don’t want to miss Sapporo in winter; there’s some really cool stuff to do here (no pun intended)! Let’s start with the biggest winter attraction — The Snow Festival. Is Sapporo Worth Visiting in Winter? 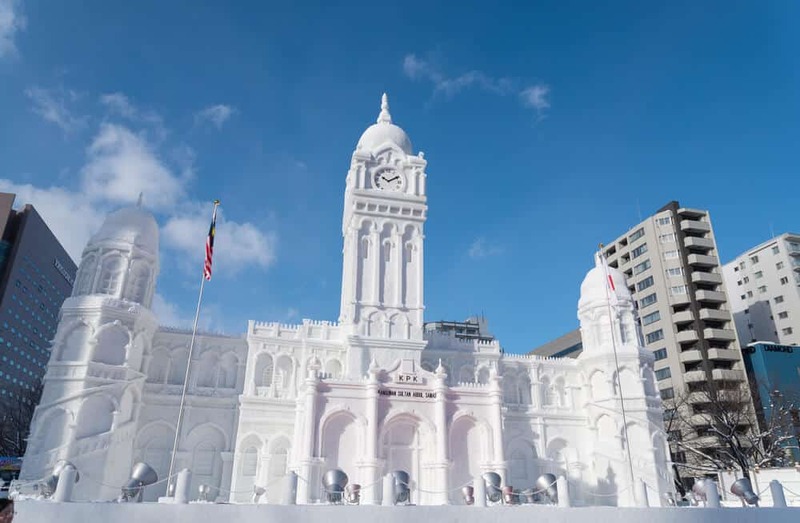 The Snow Festival (Yuki Matsuri) is Hokkaido’s biggest event. It began in 1950 when a few local students built snow sculptures in Odori Park. It’s now a major festival. 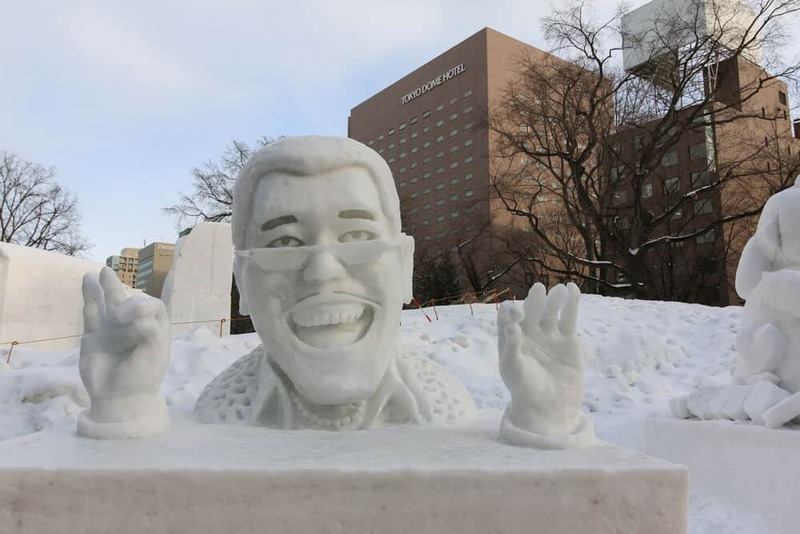 Snow and ice sculptures line Odori Park’s 1.5 km stretch through downtown Sapporo. The festival draws over two million people each year. Twelve city blocks are devoted to the sculptures. One of them is reserved for international teams to exhibit their work. If you’re lucky, you might catch a team working on their sculpture. You’ll really appreciate the time, skill, and effort needed to make such amazing works of art. The snow and ice exhibits are beautiful during the day… but don’t miss them at night! The illuminated sculptures are truly an amazing sight. 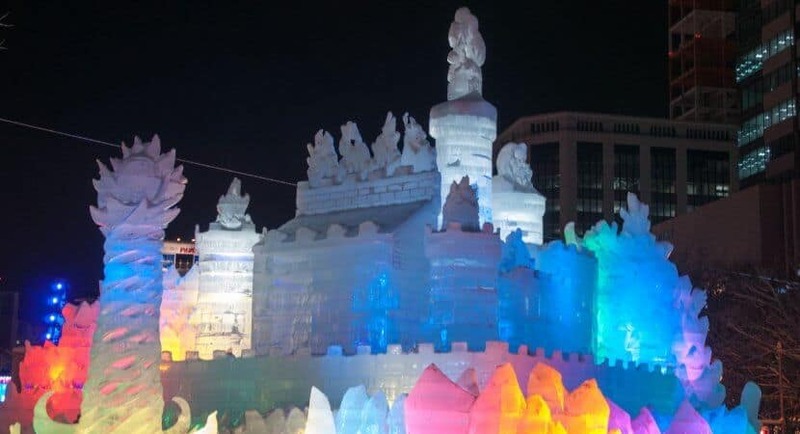 Even if you’ve seen ice sculptures before, you’ve probably never seen anything like this. The sculptures can get quite large – up to 15 meters (49 feet) high and 25 meters (82 feet) wide. Many teams use cranes, scaffolding, bulldozers, and other construction equipment to build them. You can even walk around inside some of them! Previous years have had ice sculptures with surround sound. Japanese baseball and movie stars have been made into sculptures. A famous sculpture featured characters from the newest Star Wars movie. The festival has two other sites besides Odori Park: Susukino and Tsudome. 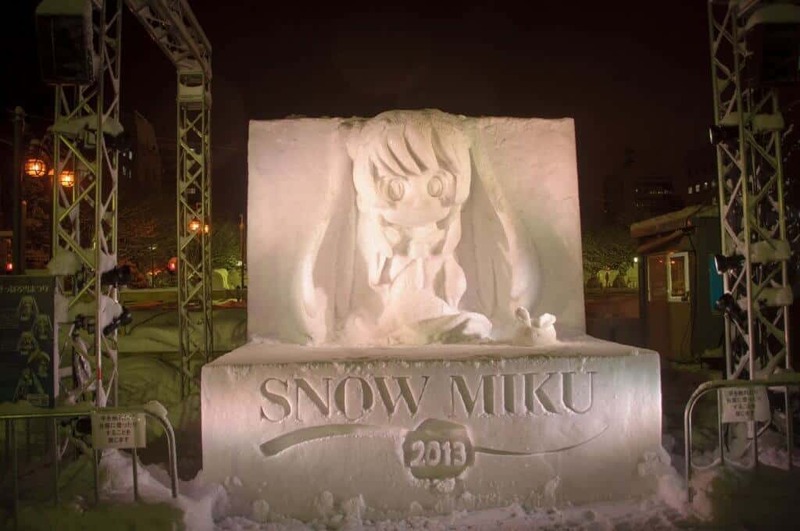 The Susukino site hosts an ice-carving competition. 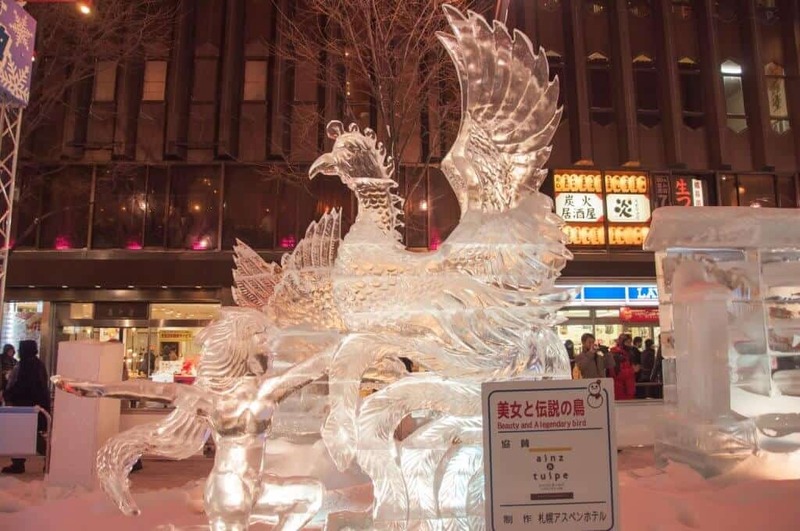 In 2017 Susukino had 60 ice-carvings on display — including two you could ride! There’s also an ice-bar serving hot drinks. The Tsudome site has many activities for families. They include a long tube slide, an all-ages ice-slide, snow foot golf, and the chance to roll around in the snow inside a giant bumper ball. Starting in 2018, you’ll also have the chance to sled there. There’s also a skating rink, snow slides, snowboard and ski jump demonstrations, food booths, and ongoing entertainment. The official Snow Festival website has all the information you need. Don’t miss the list of where you can find the year’s most popular sculptures. Note: Flying drones in the Snow Festival areas are strictly prohibited. 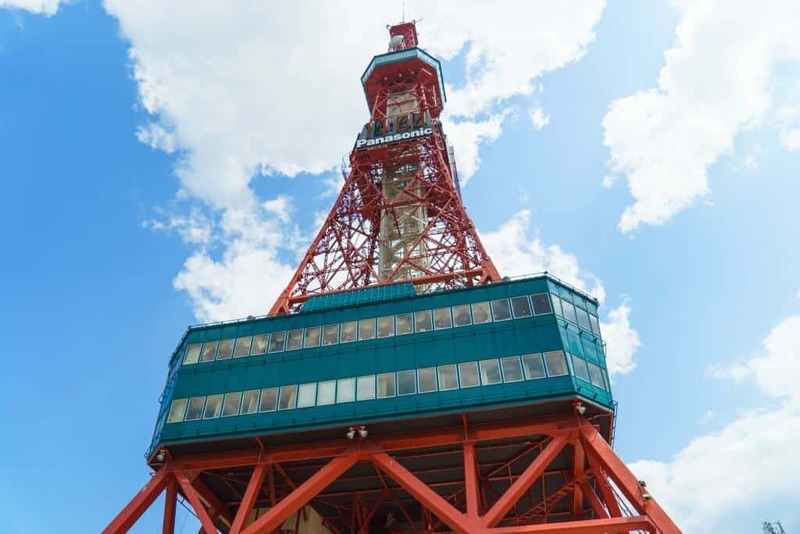 For a bird’s eye view of the sculptures, head to the Sapporo TV Tower. 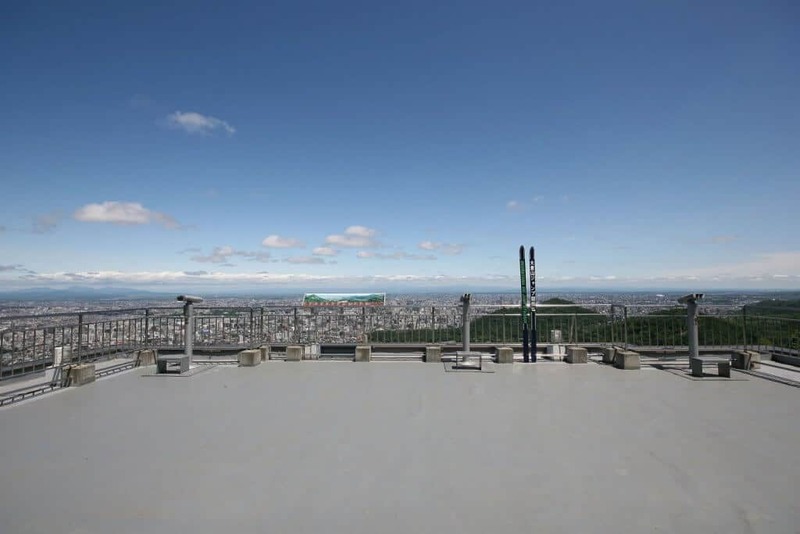 The 90-meter observation platform gives you a great view of the Odori site. The tower has special opening times during the snow festival. You can buy a one-time entry ticket for 720 yen, or an 1100 yen ticket that gives you access during the day and night. 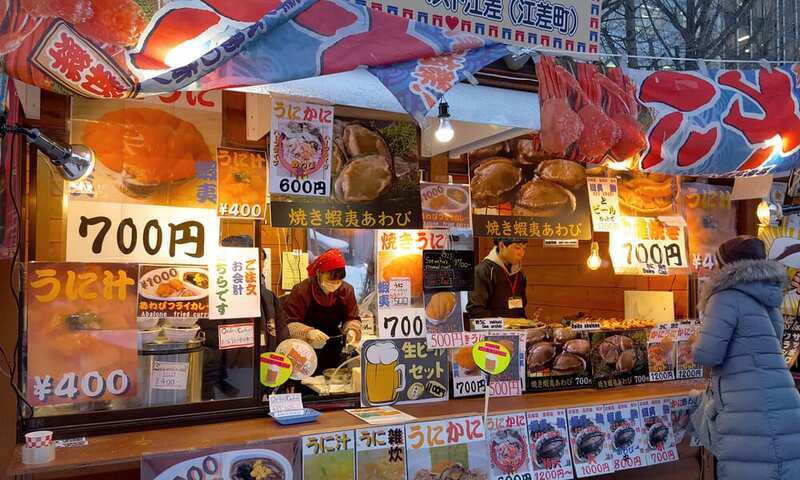 After the snow festival, many people associate Sapporo beer (and also crab, miso ramen, and soup curry… Yum!). The beer museum is a fun place to visit, even for those who aren’t big beer fans. The Sapporo Beer Museum doesn’t just give you the lowdown on beer’s history and production… you taste samples at the end of the tour! There’s also a beer garden with several restaurants, all of which have all-you-can-drink menus. Beer was introduced to Japan in Sapporo. The museum is located in a former sugar factory built in the Meiji period. You can choose from two options: a free tour or a paid tour. The free tour is a good chance to explore one of Hokkaido’s few heritage buildings. It’s a self-guided tour with English language pamphlets. The second tour (in Japanese) includes a demonstration on how to pour the perfect glass of beer (500 yen). 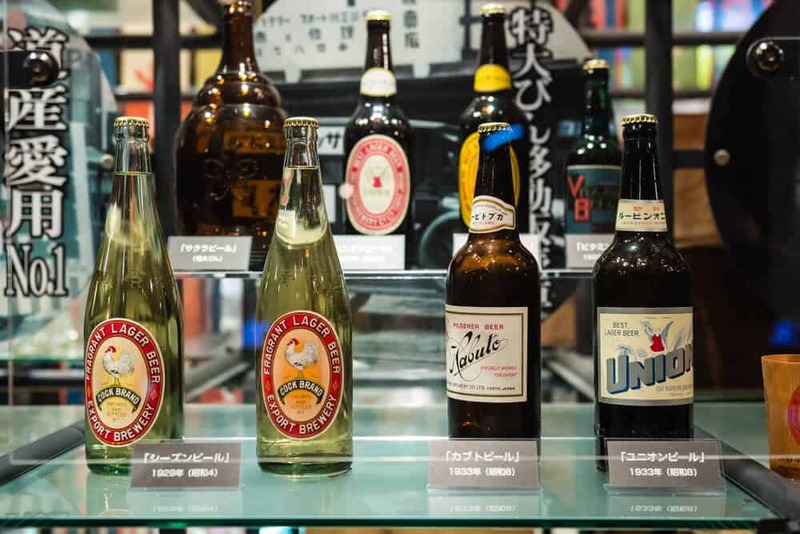 The museum exhibits focus more on the history of Sapporo beer than on how beer is made. I suggest you buy tickets for the beer samples. You can buy them at the end of your tour. At the time of my visit, it cost 600 yen for 3 beer samples and a snack. One: The beer halls offer the chance to try another Hokkaido favorite: Genghis Khan. This is grilled lamb “Mongolian style.” It tastes a lot like the yakiniku you find elsewhere in Japan. Delicious! 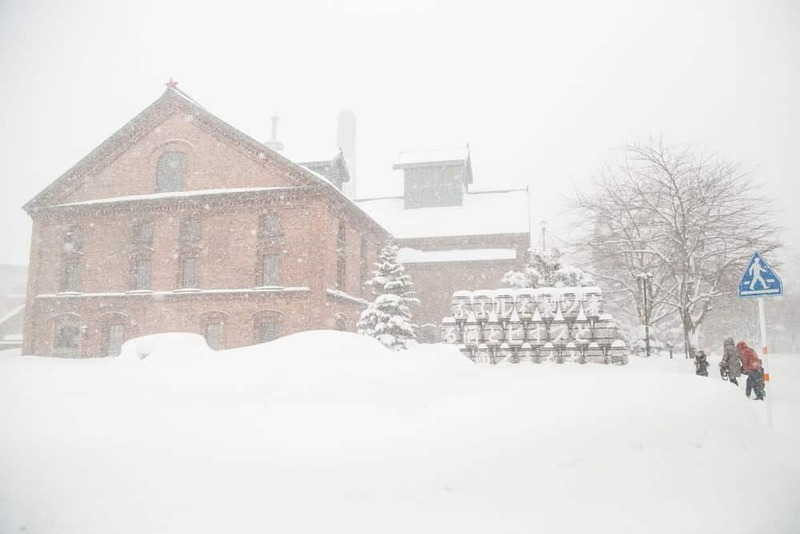 Two: The Museum is open no matter how bad the weather gets… and Hokkaido is known for rough winters! When Monday is a public holiday, the museum closes Tuesday. If you want to take the paid tour on the weekend or during the Snow Festival, book in advance. The museum is a popular destination! 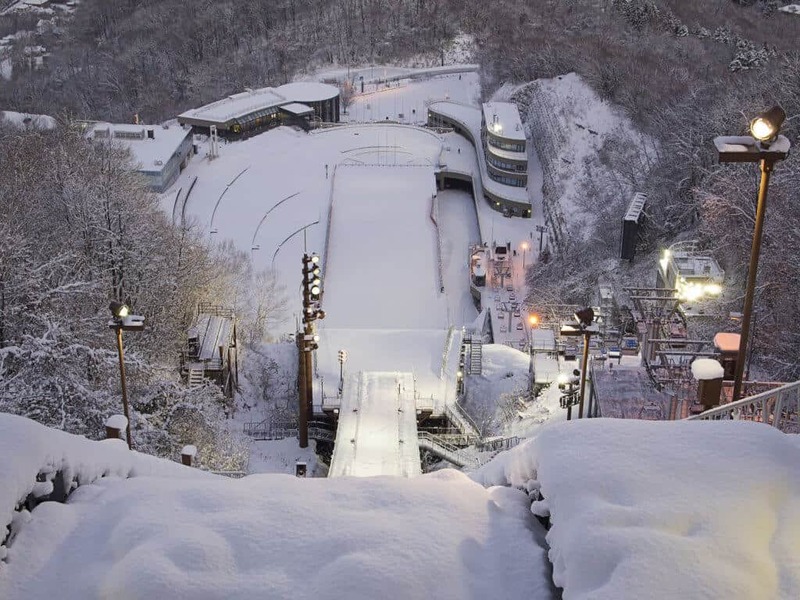 The Okurayama Ski Jump Stadium has several fun attractions. They include a museum, an observation platform, the ski jump, and the Okurayama Crystal House. The Ski Jump earns its top billing. 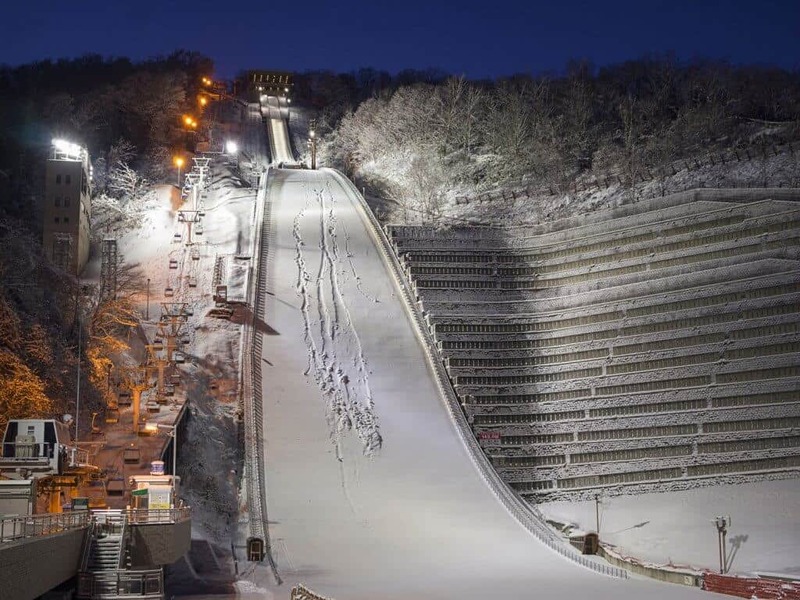 Built in 1931, the ski-jump was renovated in the 1970s to use in the 1972 Winter Olympics. It has been updated many times since then. In 1988 Summer Hill was built to enable jumping in summer. When there are no events, you can take the ski lift to the Mt. Okura Observation Deck. The deck looks out over Sapporo city. 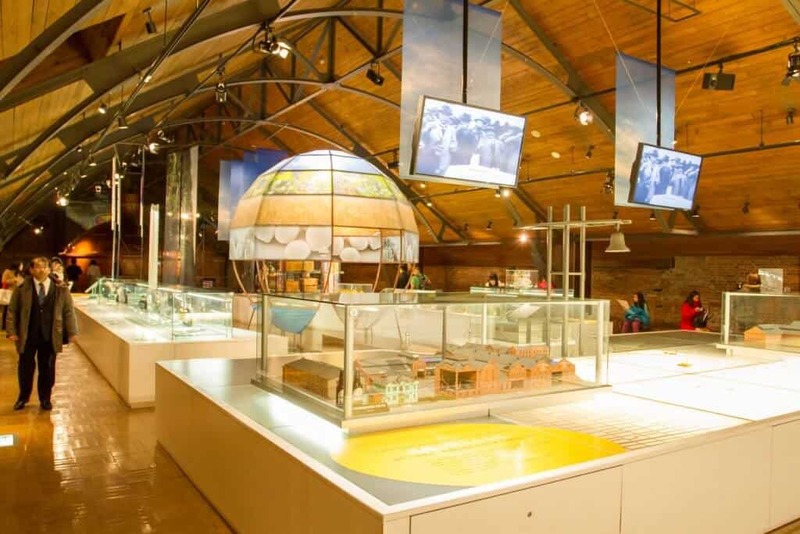 The Winter Sports Museum, established in 2000, focuses the history and rules of winter sports. The interactive exhibits simulate ski jumping, bobsledding, and figure skating. It’s a great place to take your kids. There are 56 hot spring sources in the Jonzankei district. They produce 8600 liters of hot water a day. Factor in the location, only an hour away from Sapporo by car, and it’s no surprise Jozankei is one of Hokkaido’s most-loved onsen. 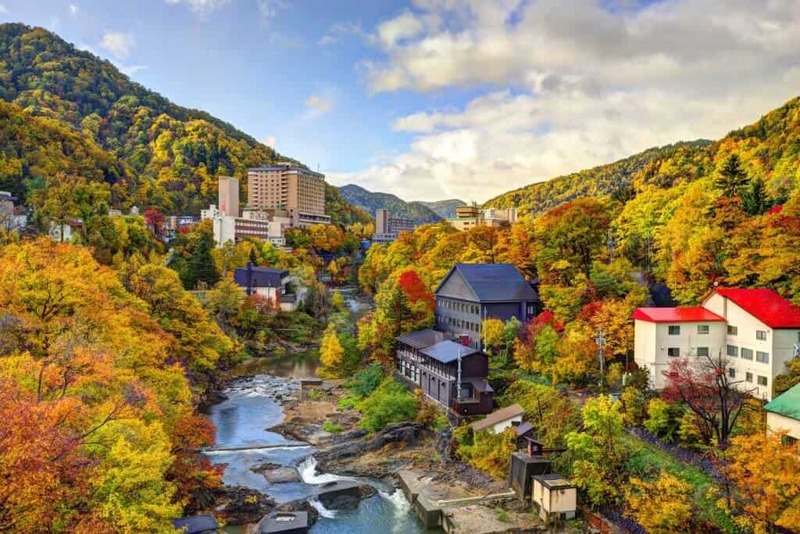 This developed onsen town lacks the charm of a smaller, more traditional onsen village. Even so, Jozankai is a must-visit for onsen fans, especially in winter. The heating properties of the natural element rich water really sets the town apart. It also has some great scenery. 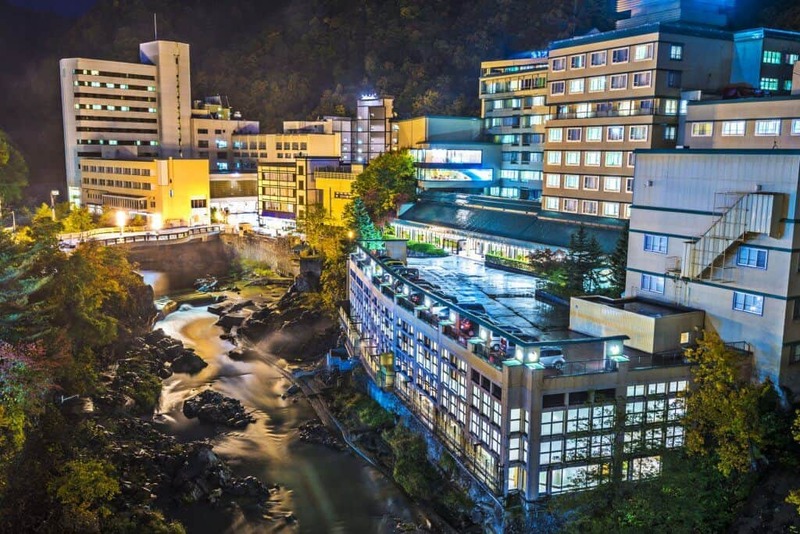 Don’t miss the yunotaki, a hot-water waterfall in the middle of town. Most of the baths in Jozankei are attached to ryokan or hotels. They open their doors to day-trippers for a fee (most around 1,000 – 1,600 yen). Hours vary from hotel to hotel, so if there’s a particular bath you want to visit, check the hours they open in advance. Jozankei is home to one of Japan’s more unique temples — Iwato Kannondo. The temple was built to commemorate road workers killed building a tunnel. It sits within a 120-meter long cave that houses thirty-three statues of Kannon. The Kappa Liner shuttle bus travels between Sapporo and Jozankei. You’ve likely spent a lot of money and put in some serious effort to get to Hokkaido. No matter how eager you are to hit the ski slopes, take a bit of time to explore Sapporo. 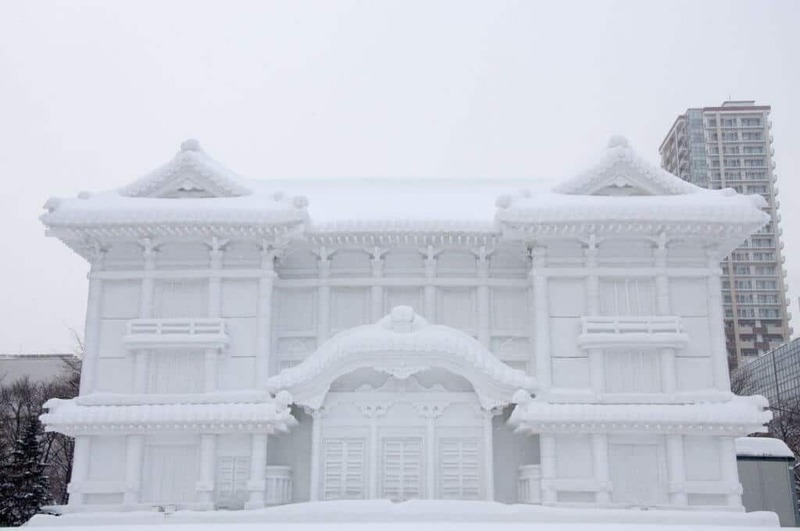 This is Hokkaido after all — the snow isn’t going anywhere! 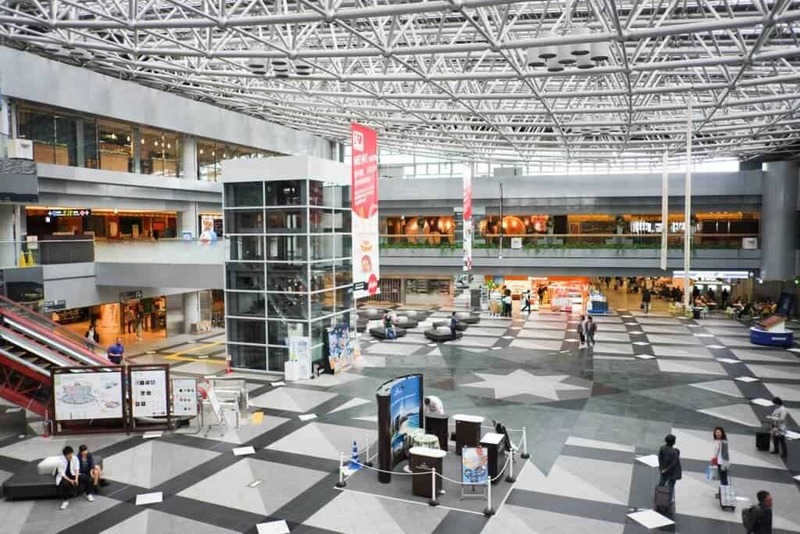 Sapporo is connected to the rest of the world through New Chitose Airport, the largest airport in Hokkaido. It’s only a 40 minute train ride from Sapporo. There are many daily flights from Tokyo and other domestic locations within Japan. Several budget airlines offer cheap flights. The key is to book early. Buy your tickets months in advance to get the cheapest rates. Either pack light or send your luggage ahead by takkyubin (delivery service). International travelers should take advantage of Air Do’s Welcome to Hokkaido tickets. They cost only 8,800 yen for a flight to Hokkaido. It doesn’t matter where in Japan you’re flying from. Occasionally, some LCC airlines like Jetstar or even bigger companies like Japan Airlines have really cheap deals. A flight from Tokyo to Hokkaido with a LCC can range from less than 3,000 yen to 5,000yen per way. Also, be sure to check companies like Booking.com for deals. They might be your best bet during certain times of the year. If you’re a Japanese resident, you can still get a good deal if you book a ticket 75 days in advance. For example, a flight between New Chitose and Tokyo’s Haneda Airport is 9,790 yen. Compare this to a 15,000 – 25,290 yen ticket for the same flight reserved 28 days in advance. Once you arrive at New Chitose, the airport connects to the city by train, bus, and taxi. The trains leave roughly every 15 minutes, and the trip costs 1,070 yen for an unreserved seat or 1,590 yen with a reserved seat. 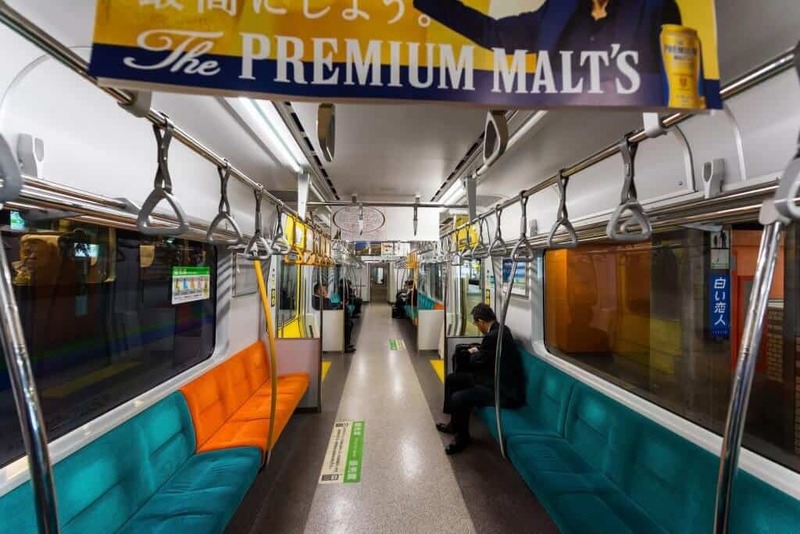 Take the JR Rapid Airport line for either Sapporo or Otaru or the JR Chitose line. The trains run from 6:56am until 10:53pm. The Hokkaido Chuo Bus connects New Chitose Airport with downtown Sapporo. It’s 1,030 yen one-way. 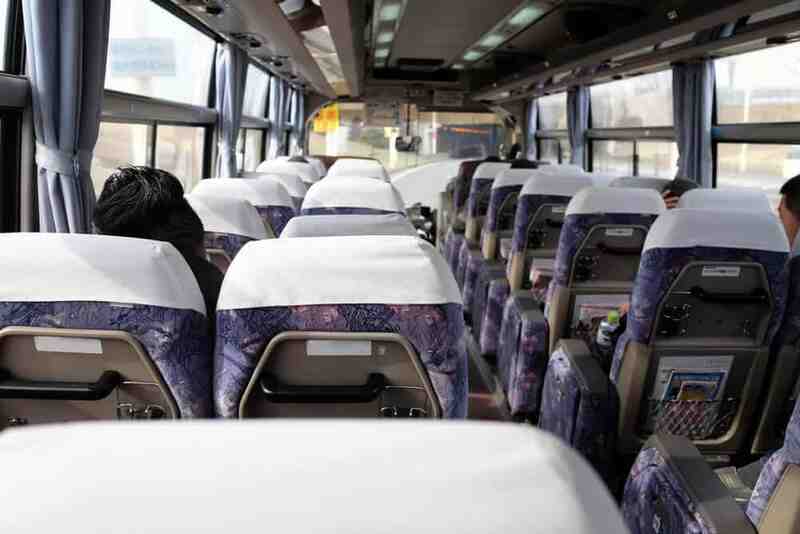 Buses run from 8:40am until 7:25pm, and during peak hours they leave every 10-15 minutes. Taxis aren’t cheap at roughly 16,000 yen. They take about an hour to reach Sapporo. The Transportation Information Desk at the International Terminal can tell you your options. They can also organize a sight-seeing taxi for you. Hokkaido is a great destination for train buffs. Trains reach the island through the Seikan Tunnel, the second longest railway tunnel in the world. 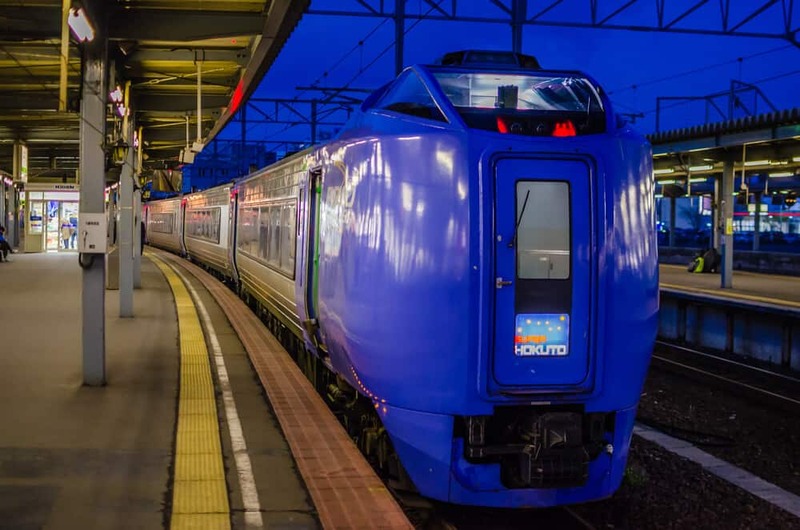 Until recently, one of Japan’s few remaining overnight trains also made the trip to Hokkaido. Unfortunately, The Twilight Express service has ended. The competition between carriers became so intense they all lost money. The journey is still interesting. Even so, the eight hour travel time tests your patience. 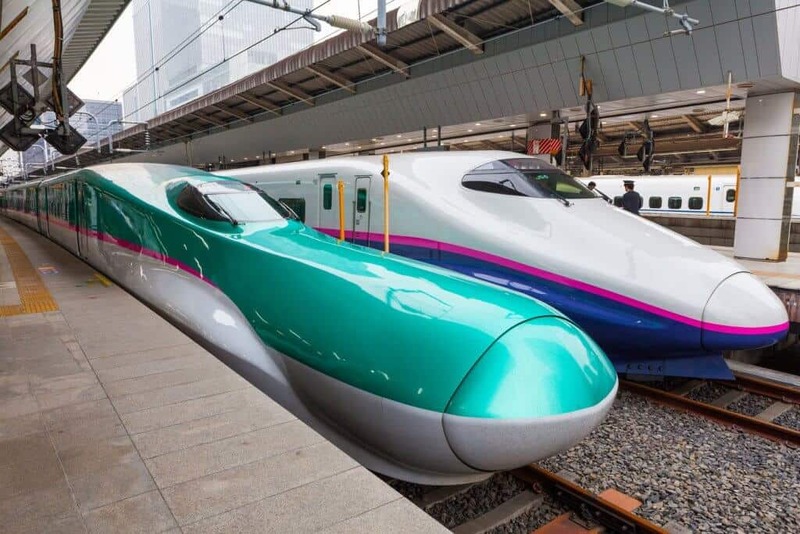 From Tokyo, take the Hayabusa Shinkansen to Shin-Hakodate-Hokuto. Transfer to the Hokuto Limited Express for Sapporo. The trip costs 28,380 yen. 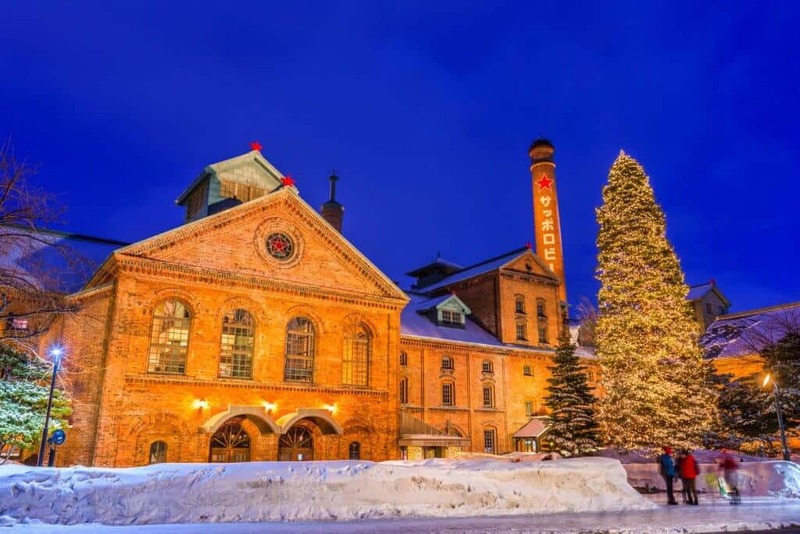 Have You Been to Sapporo in the Winter? What did you like about it? Did we miss anything? Don’t forget to share this article with your ski buddies. The next time you guys go to Hokkaido, you have a new option open. 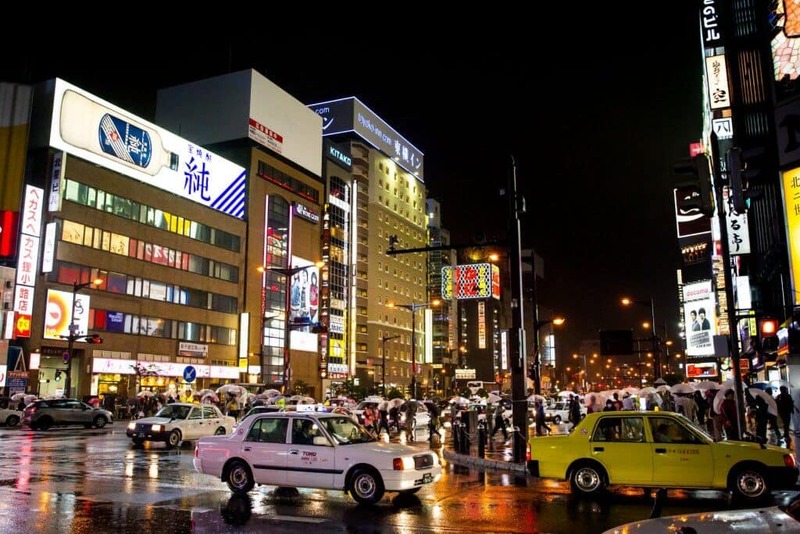 Don’t miss the fun city of Sapporo on your way to the mountains. J-Hoppers Kyoto Review: Is it Worth It?